Winter is the time for home, warm socks and…white chocolate peppermint mochas. 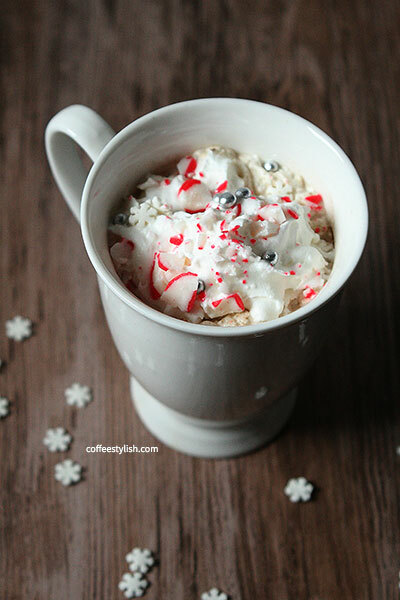 White chocolate peppermint mocha. December, right there in your cup. This winter favorite is SO delicious and making your own stuff at home is easy. Brew coffee and pour into the mug. Heat the milk until steaming, add white chocolate chips and peppermint extract (or crushed candies) and stir until well blended. Slowly add milk to your coffee while stirring. Sugar to taste. Garnish with whipped cream and crushed peppermint candies. That was so simple, right?! Making dark chocolate peppermint mocha at home is just as easy. Enjoy your homemade coffee & stay cozy!